Primary Possibilities: Trade and Grade...Working on Long & Short Vowels! I am so excited to be participating in this month's Trade and Grade hosted by Amanda over at Primary Gal! 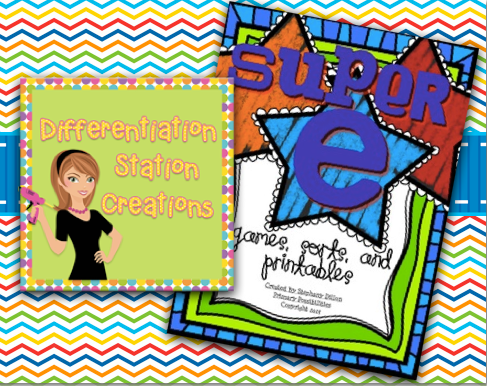 This month I got the chance to trade with Laura over at Differentiation Station Creations. 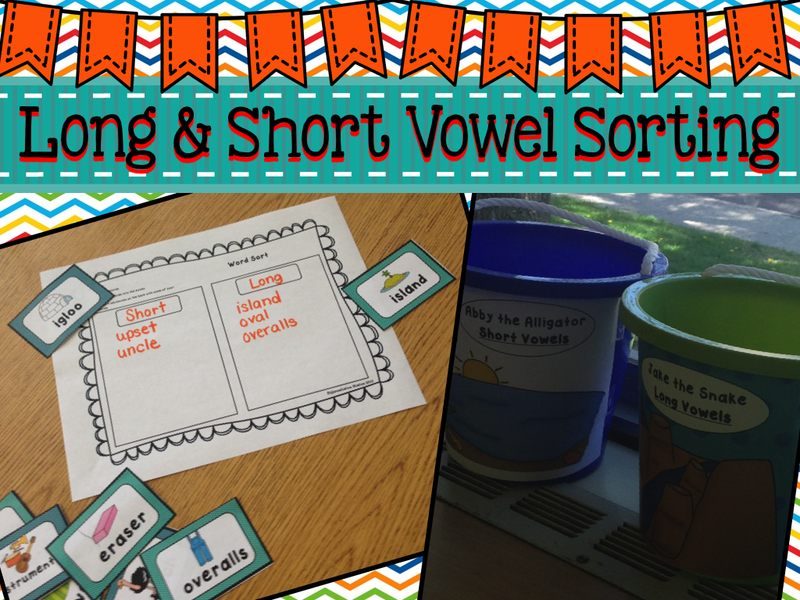 I got to "grade" her long and short vowel unit which is a super cute and effective unit for teaching students to differentiate between long and short vowels in a word. 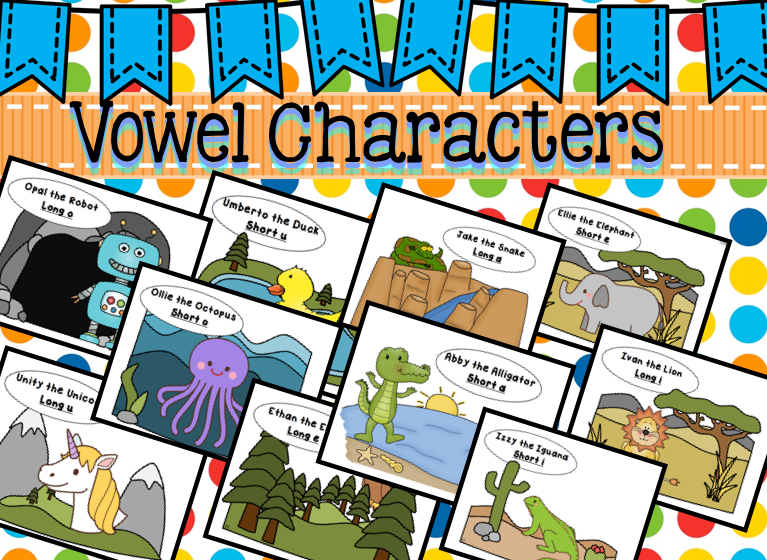 She uses cute vowel characters to help students remember the vowel sounds for each letter. 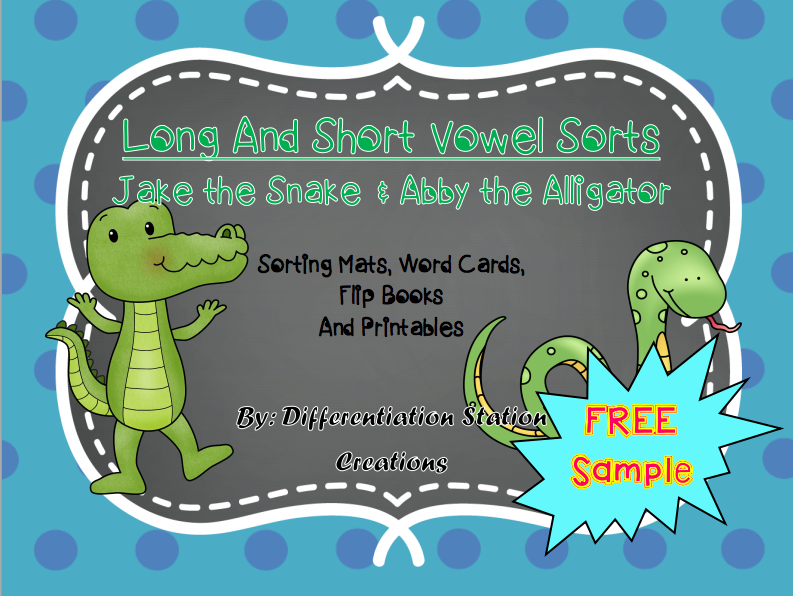 There are a variety of different types of vowel cards in the packet. 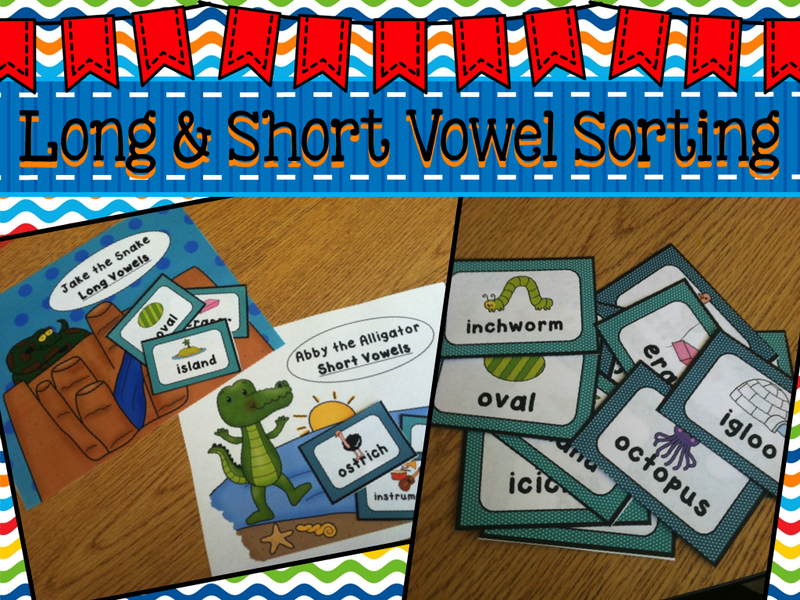 You can have students sort a mix of all vowels or just the short/long version of a certain vowel. I had some of my students sort a mixture of the vowels onto mats during small group instruction as a review. Once we had completed the activity, I placed the mats on the front of buckets and placed the activity in one of the stations for review. The kids loved the characters and sorting the pictures into the buckets! 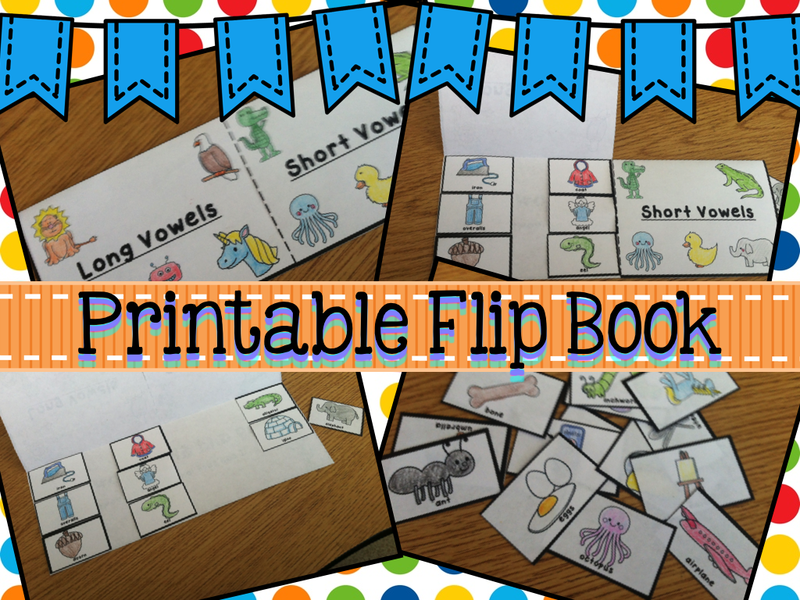 Also included in this packet is a great printable flip book for reviewing the short and long vowels. 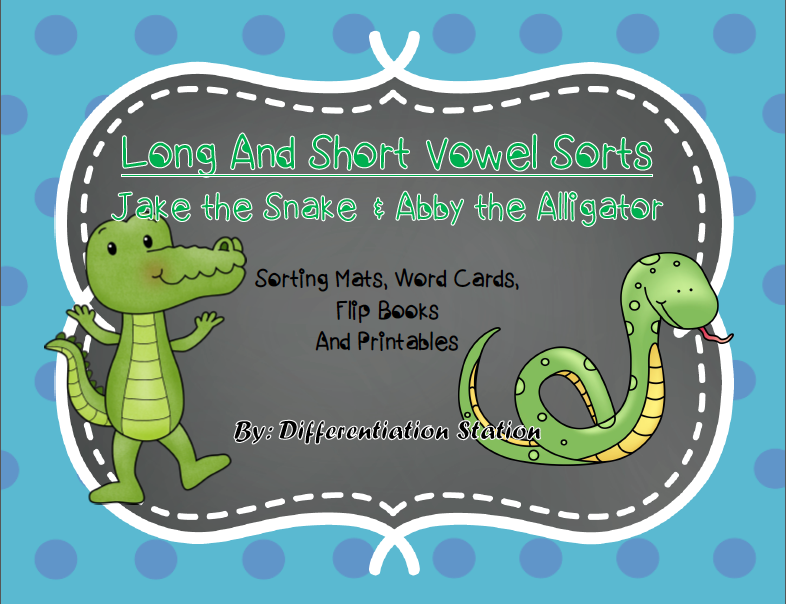 This is not only a great activity but you could refer back to this this for reviewing short/long vowels whenever your students need a quick review. You can pick up a free sampler of this activity by clicking the image below! You can purchase the whole packet in Laura's TpT store by clicking on the cover below! Laura is reviewing my Super e Unit! Head on over to her blog to check it out! And finally, you can go check out the rest of the Trade and Grade Reviews and grab up the free samples by clicking on the image below! Stephany, I love this "trade and grade" idea! It's such a great way to bring great products to people's attention while also helping to improve them and talk about the potential they have. This is terrific! Thanks, and have a wonderful weekend!